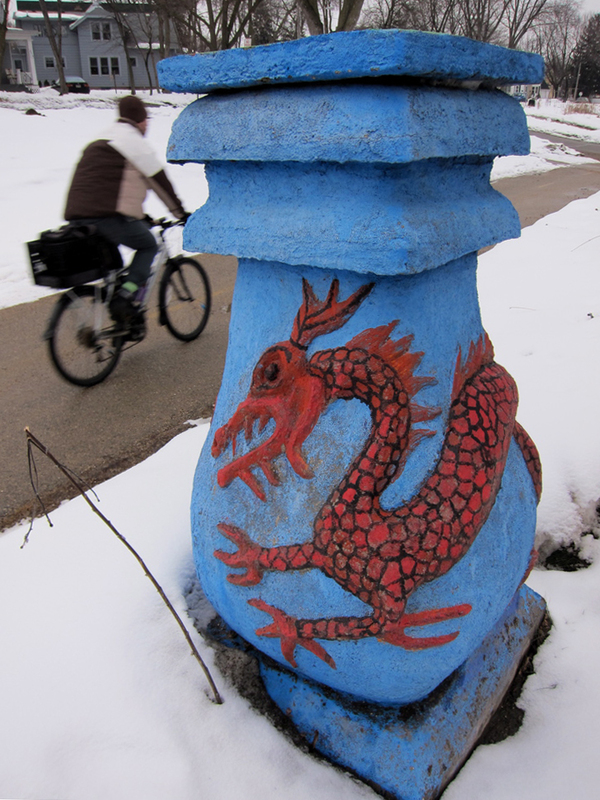 A dozen outdoor sculptures by Madisonian Sid Boyum make up almost a quarter of the city’s public art. Boyum’s works can be playful, rustic, or Asian-inspired. He died in 1991, and a decade later neighbors moved Boyum’s sculptures out of his backyard for public display (see video). 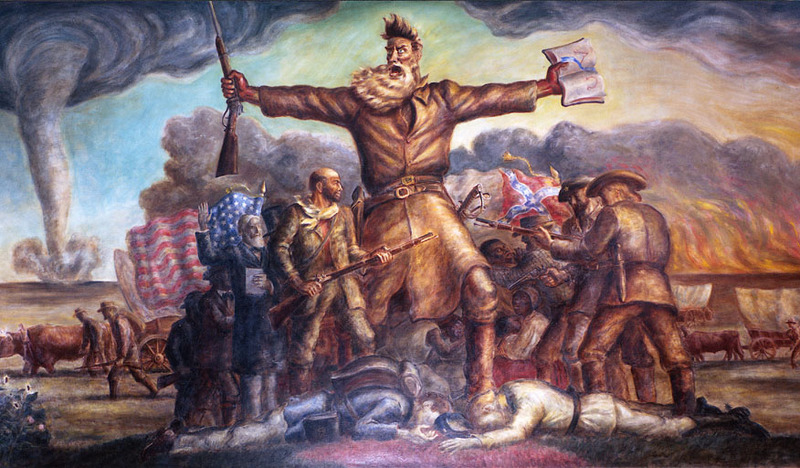 On what street is this Sid Boyum sculpture located? Click the photo to enlarge, and send your answer by next Monday (how to play photo challenge). We may have been too clever in our last photo challenge, which asked for the old name of this lake. 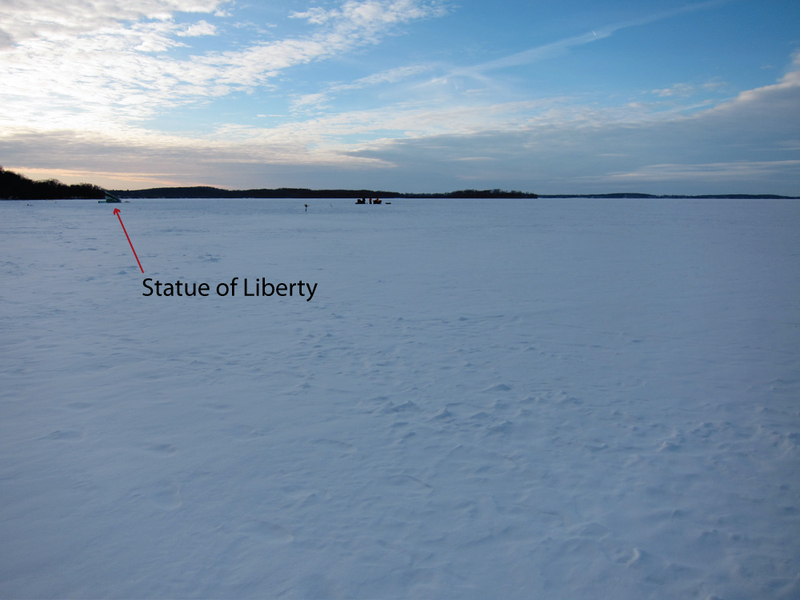 A close look shows the latest installment of Madison’s replica Statue of Liberty, so the lake is Mendota. 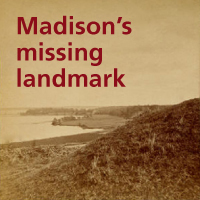 Until 1855, Mendota was known as Fourth Lake. Why such a mathematical name? Federal surveyors mapping Wisconsin used the Wisconsin-Illinois border as a baseline. Among the Four Lakes, Lake Kegonsa was reached first and called First Lake. That meant Mendota was Fourth Lake. We promise we’re not obsessed with Madison’s frozen lakes. This week’s photo challenge is straightforward—with a twist. 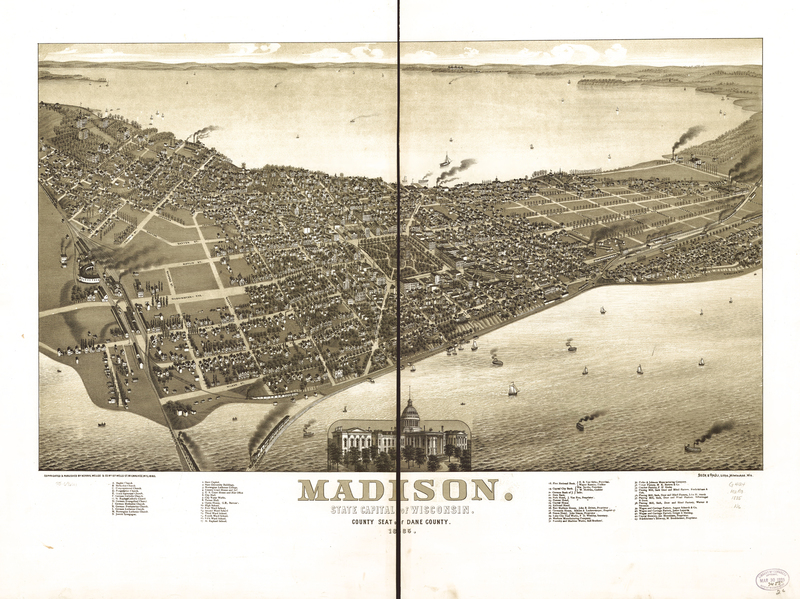 What was the name of this Madison lake before its current name? Click the photo to enlarge, and see the clue you need. Send an answer by next Monday (how to play photo challenge). 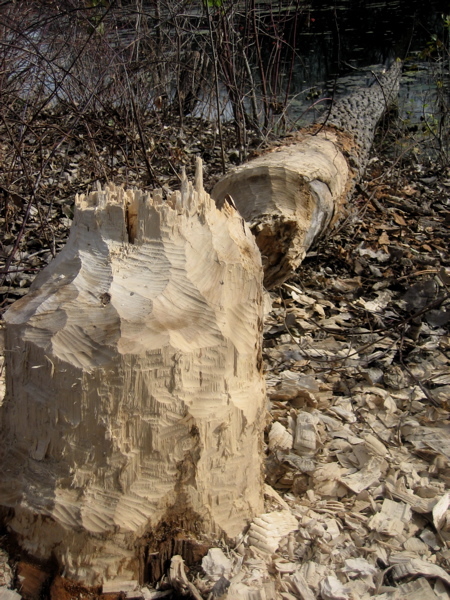 The last two challenges have featured beavers (#2) and coyotes (#3), animals not usually considered urban. 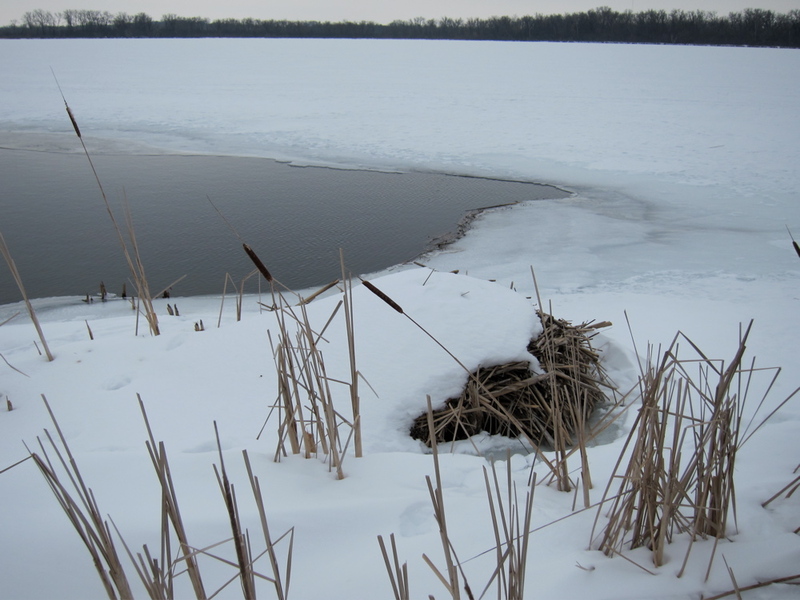 Lake Wingra has a special advantage for wildlife: the 1,200-acre UW arboretum. The outlines of Wingra marsh haven’t changed in 80 years. Coyotes are so adaptable they often live more successfully in cities than rural areas. Chicago, for example, has a coyote population around 2,000. Nobody knows Madison’s population, but coyotes are in the news recently for migrating to the city and preying on pets. The great irony is that hating the coyote (and fearing its wolf cousin), we spent a couple centuries trying to destroy them. Now coyotes are moving in with us. 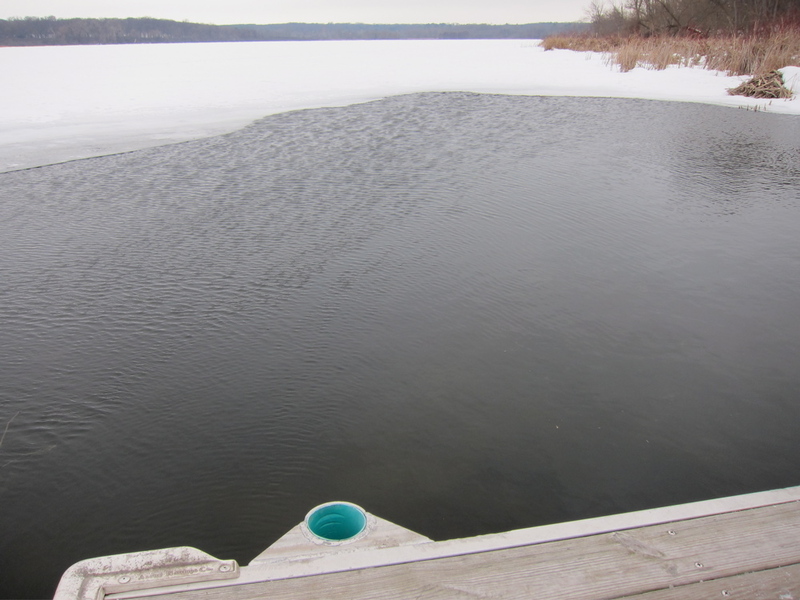 Last week’s challenge asked you to identify a structure standing near a spring on Lake Wingra. 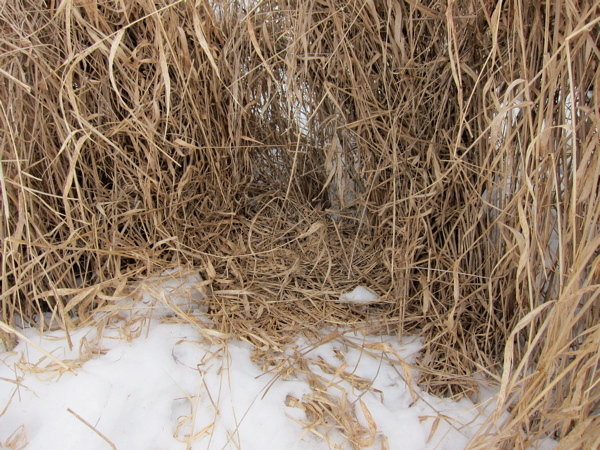 Though it looks like a king-sized muskrat lodge, it belongs to a beaver. 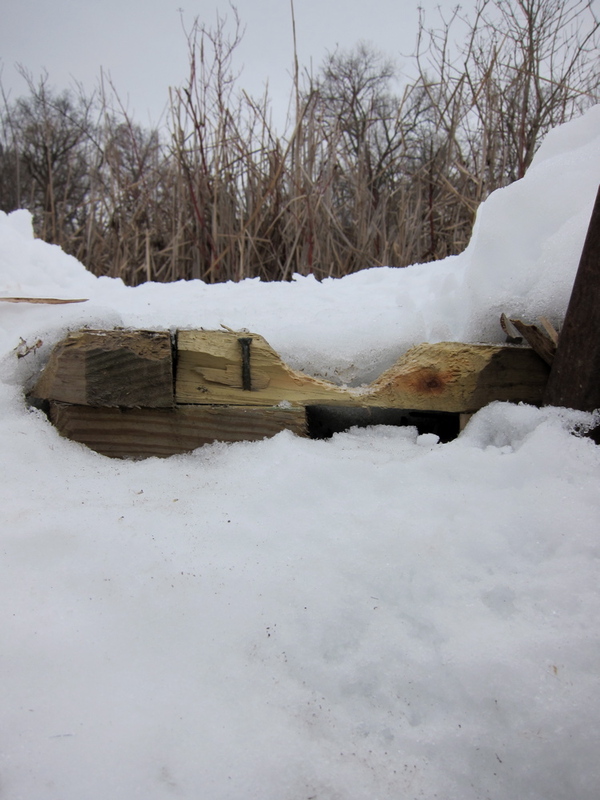 This corner of Wingra has plenty of beaver sign, both the usual—chewed trees such as this one—and unusual: a chewed boardwalk just yards from the lodge, where the beaver has rounded the edge for more comfortable travel. Now to this week’s photo challenge (how to play). 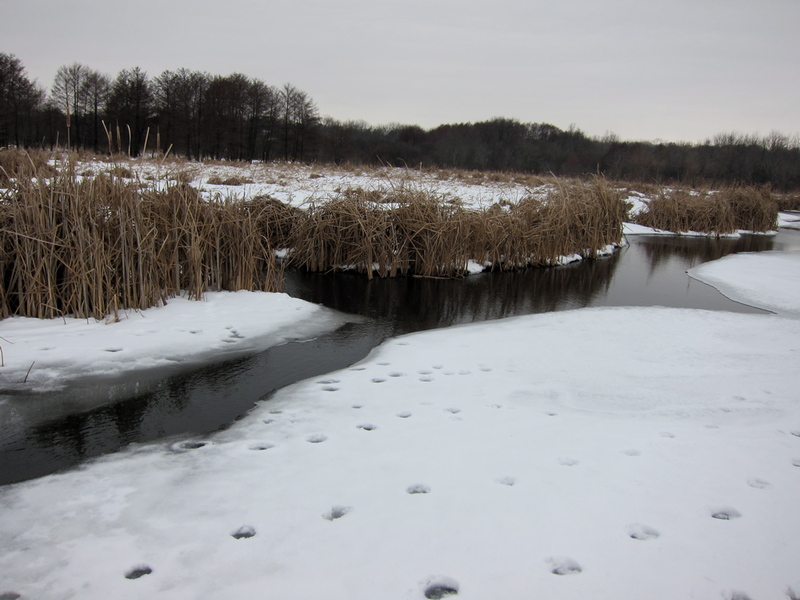 Tracks of a wide-ranging mammal crisscross Wingra marsh and the southwest margin of Lake Wingra. Other signs include a possible bed and, sometimes at night, its voice. Given these clues, what animal do these tracks belong to?